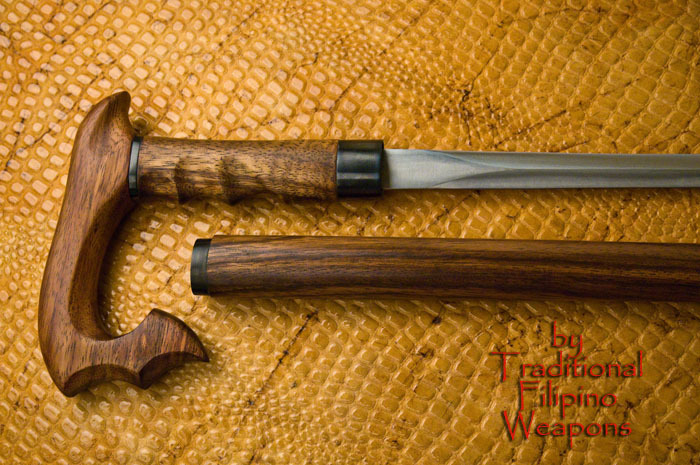 Maginoo Sword Cane – There are two things a prestigious gentleman carries with him when he walks the street. A good looking hat and a gentleman’s cane. 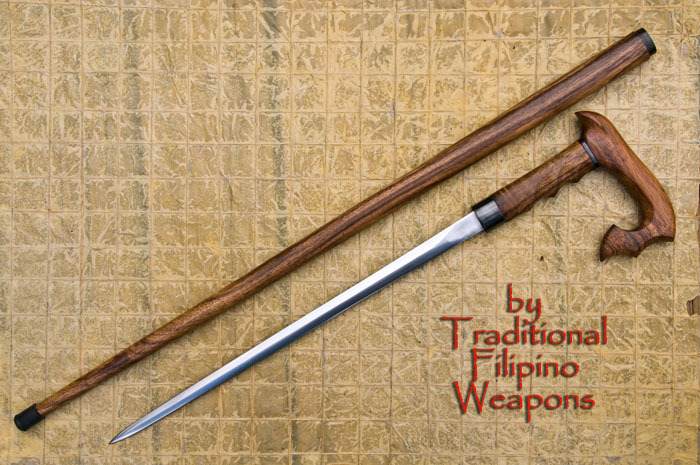 During the Spanish era, a cane was one of the areas of fashion that determined an individuals status. That’s status was usually wealth! 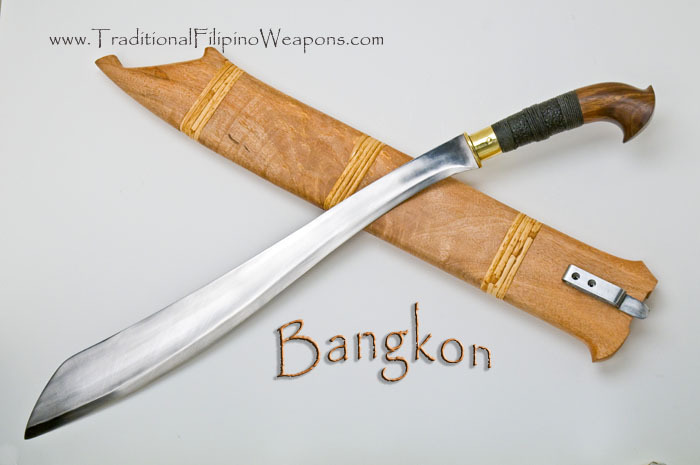 Depending on the type of wood and it’s custom design, a cane is always seen being carried by rich men called “Don”, which is a title given to owners of big lands, often a ranch and/or a large fruit and vegetable plantation. 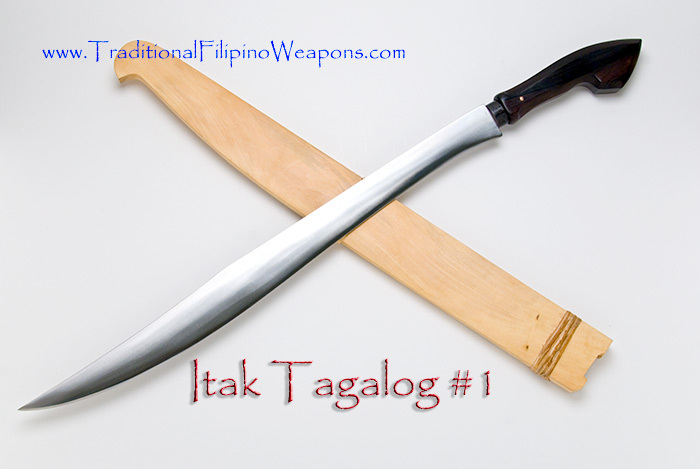 A typical cane made of strong iron wood for a rich man/gentleman, termed in the Philippines as a “Maginoo.” Never did Spanish soldiers suspect that some gentlemen were well armed along with Filipino martial art skills. 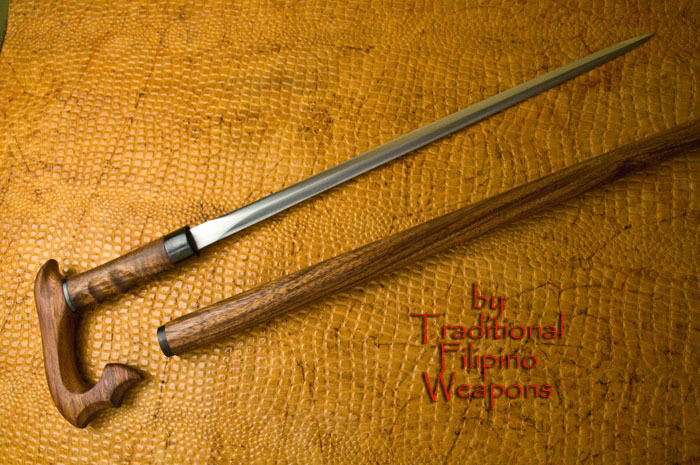 They also never suspected that are carrying canes with hidden blades within them. 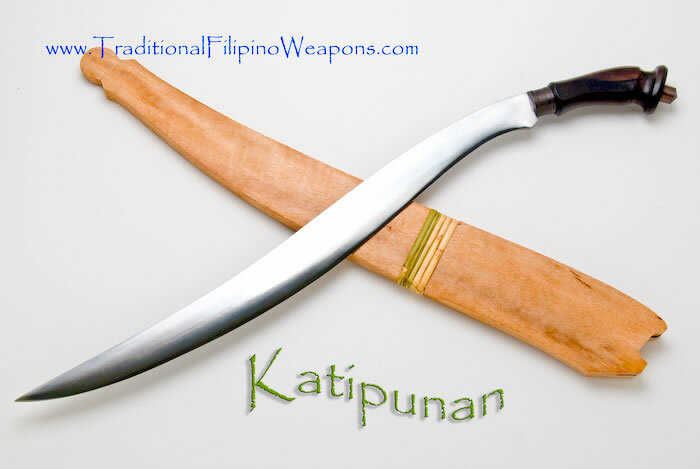 Thus, is born the Maginoo Sword Cane of the Filipinos! 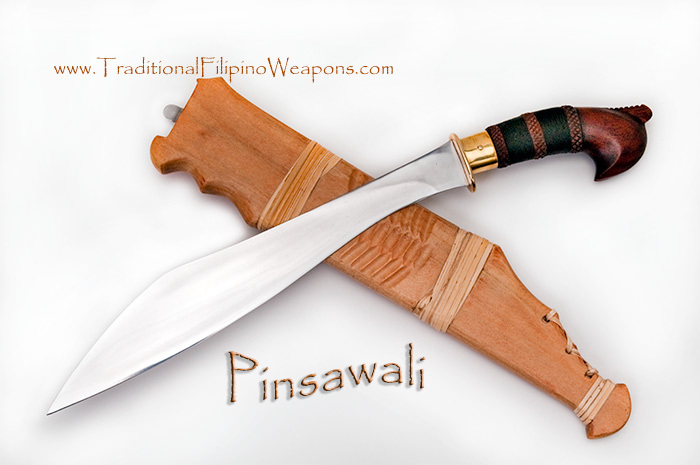 Materials: This fine collectible combat weapon uses a type of ironwood found only in the Northern Philippines called Adaan (pronounced “add-a-ann”). 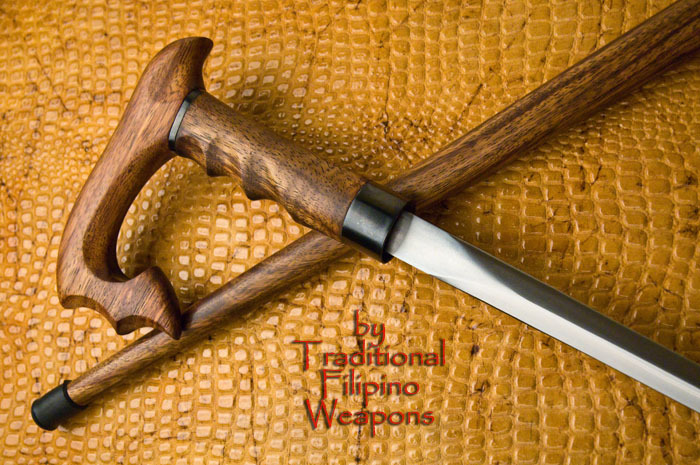 The razor sharp double-edged blade is hand forged from high carbon steel D2 and 5160 steel blend to a tough but flexible temper. 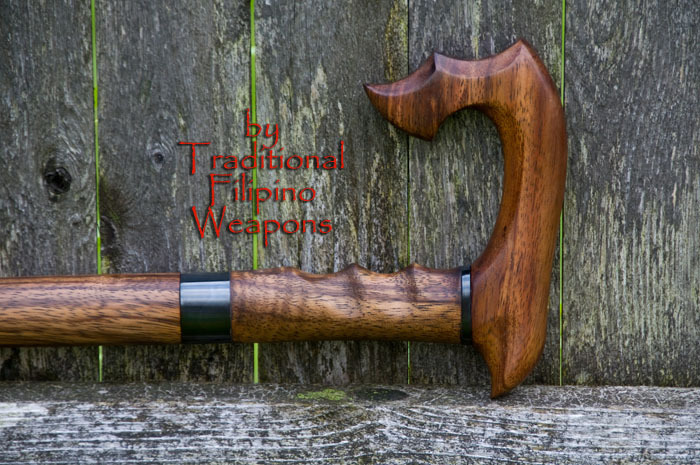 NOTE: Our latest Sword Canes have an enhanced locking mechanism to hold it closed until you pull on it, so it is safe when used as a cane or for striking without opening. The locking mechanism is a very tactical set up for quick use when needed most.